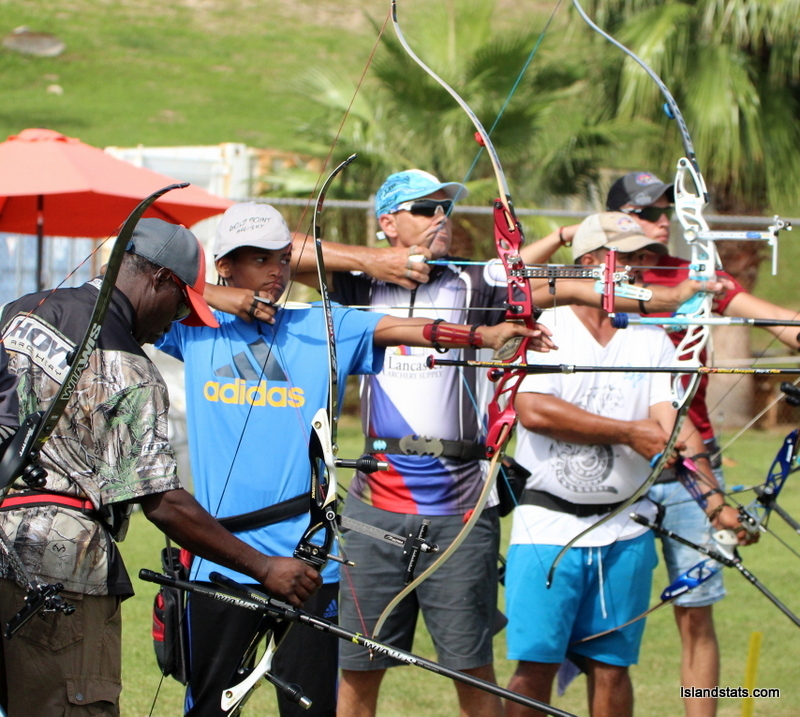 Week 7 of the Gold Point Archery Outdoor shoot League had the Archers experiencing some occasional windy conditions however their scores were still favorable at Southside in St. David’s. The competitors shoot with a target size of 40cm at a distance of 18m, with the winds out of the North-North-East at 16mph. Cameron Pickering once again proved too strong for the field recording the top score of 523, William Pickering would score 500 points to finish second and Jaydon Roberts would finish in third with 485.